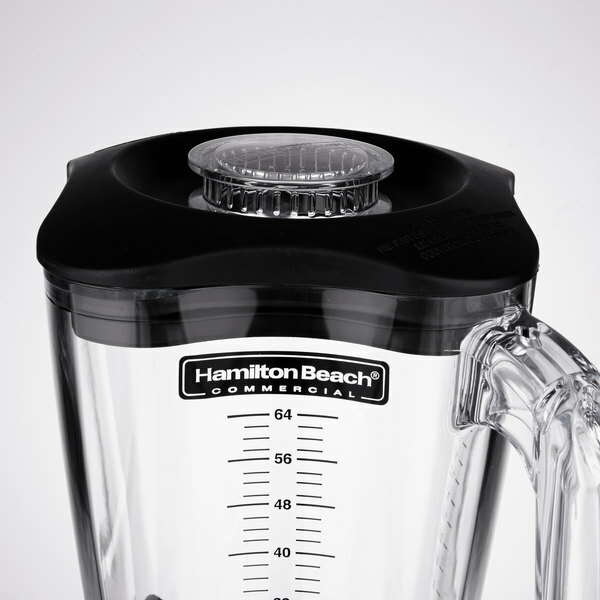 Replace a broken blender jar or keep an extra ready with the Hamilton Beach 6126-650 64 oz. ploycarbonate blender jar. When you're busy and drink orders are flying, the last thing you want to do is grind operations to a halt to wash out a blender jar. So keep an extra jar ready for busy times so that you can keep serving customers without interruption. And you'll be glad to have that extra jar in the event of a chipped or cracked one, too - it serves as a direct replacement for the standard 64 oz. 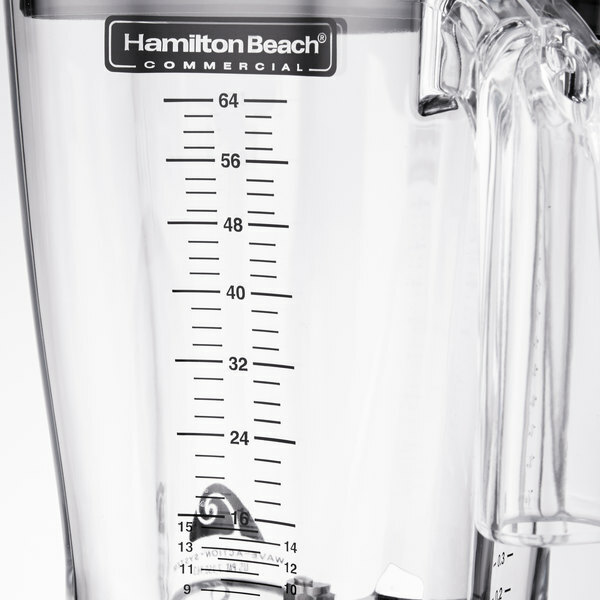 jar on select Hamilton Beach blenders. 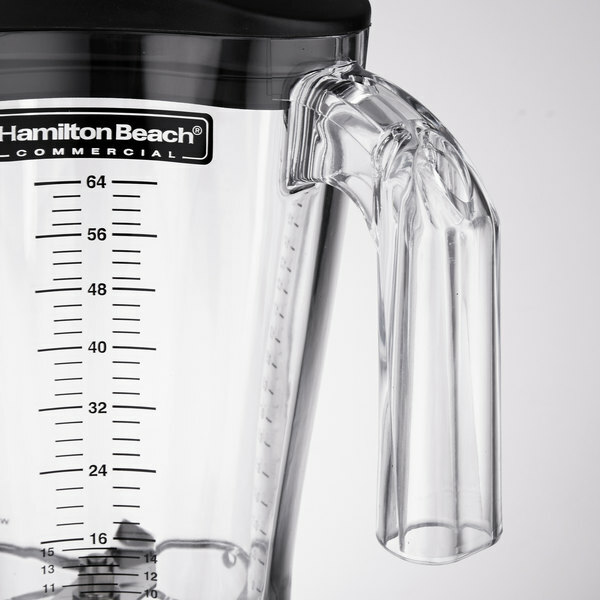 "This is a nice sized 64 ounce blender container that works well as a replacement item or for making it faster to blend up multiple smoothies!! Stock up on a few of these containers!!" With a sturdy 64 oz. 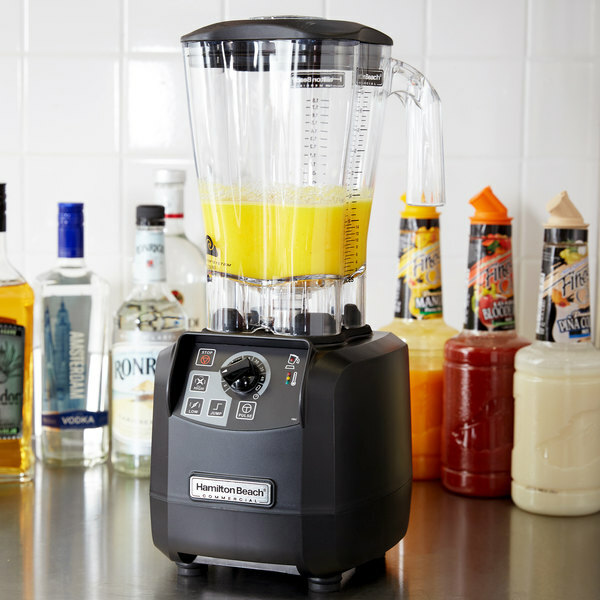 capacity, this blender jar has the size to mix up multiple drinks or smoothies at once. It also has measurements printed along the side of the container, so you can achieve maximum precision in every recipe. 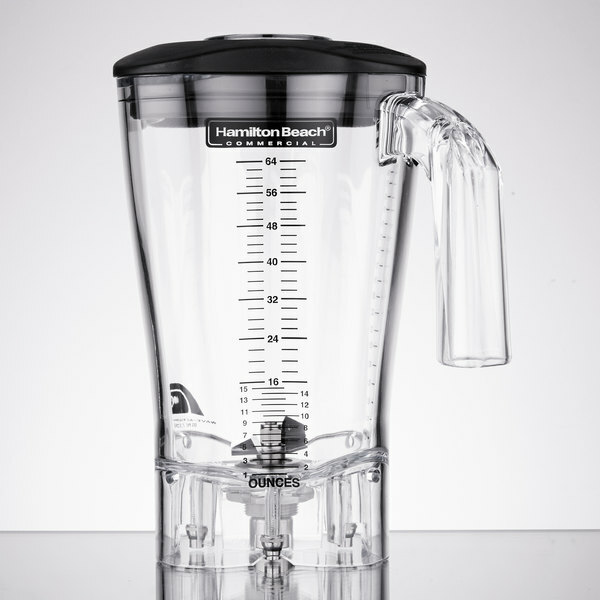 This jar is designed for use on Hamilton Beach HBH550, HBH650, HBH850, and HBH1400 series high performance bar blenders. It serves as a direct replacement for the jar that came with all of these units. 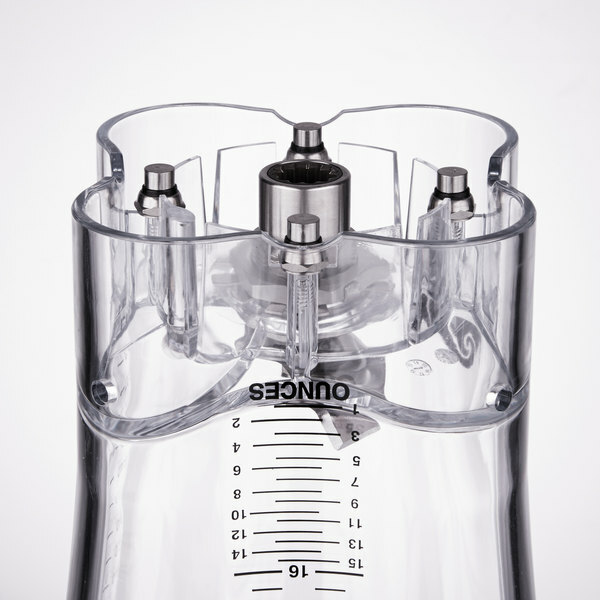 This jar includes the complete cutting assembly and lid, so you can take one jar off and put this one in its place without any additional adjustments. When you need to switch jars out fast, you can't beat the convenience of having a few spares on hand. 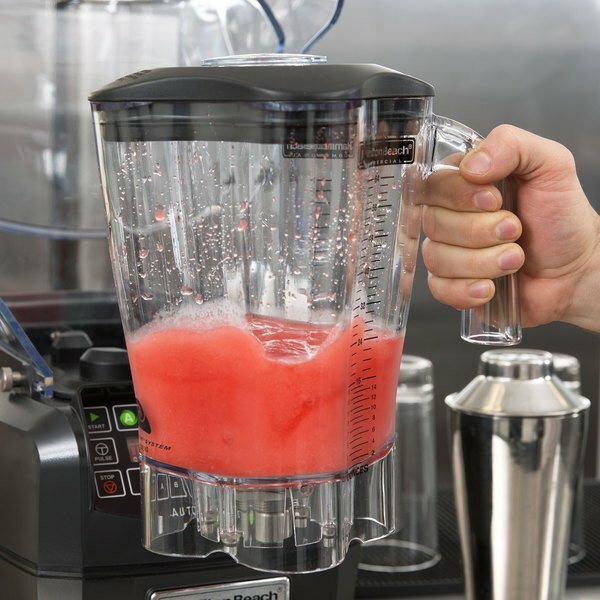 What is the proper technique for cleaning my blender jar? 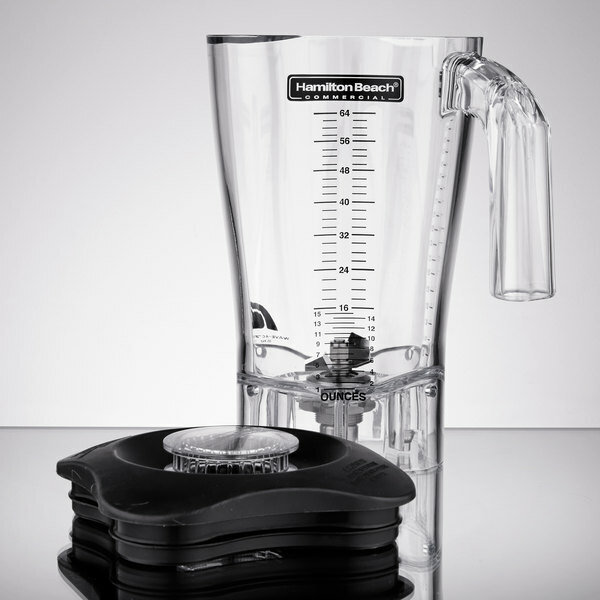 Due to the metal construction of their drive components, blender jars are a hand wash only item. They should not be run through a dishwasher, and care should be taken to avoid directly spraying the bottom of the container with a high pressure pre-rinse faucet. For best results, clean the bottom of the jar with a washcloth and a mild detergent or sanitizer when needed. Love this container! 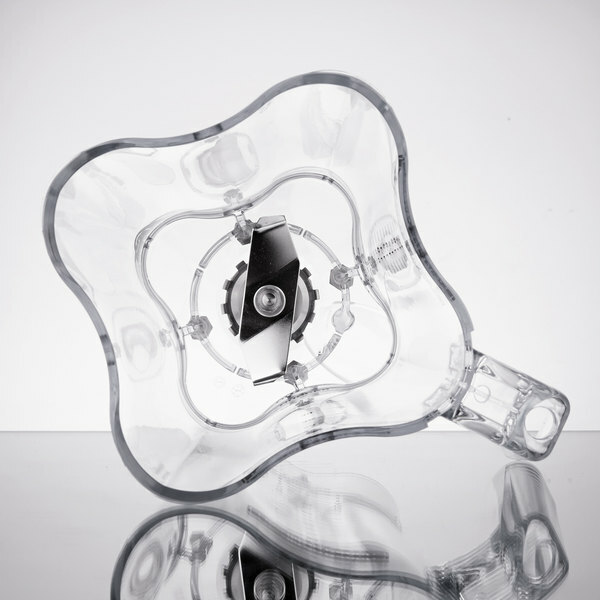 This is the third one we have purchased, due to our high customer demand. 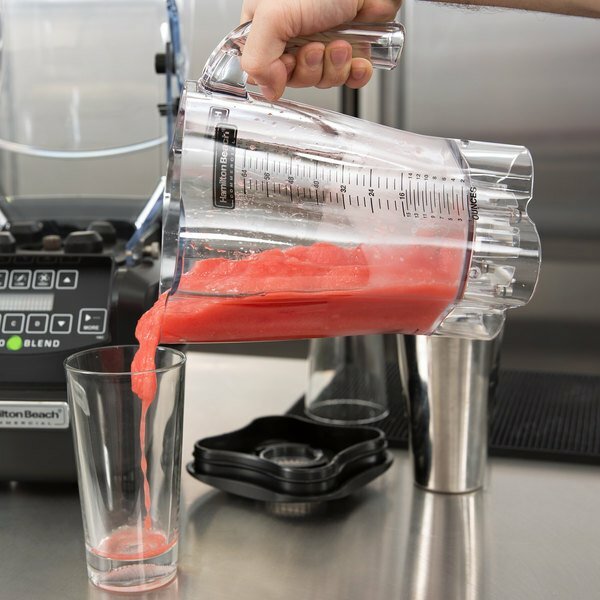 Hold up nicely, and makes a perfect shake each time. Omg I could not live without this product! We use it about a hundred times a day! I find them reliable and the hard plastic is a really nice plastic I don't worry it will break with every use. I made the decision to purchase and extra container because I didn't know what to expect and I was glad that I did. I will have to get a couple more because business is really moving fast. These blender containers are great. They're really sturdy!! I only wish the lid was a little tighter. When you put it on the base, there's so much power from the blender that the lid on the container pops up occasionally. But not a big enough issue for us to stop using them!! 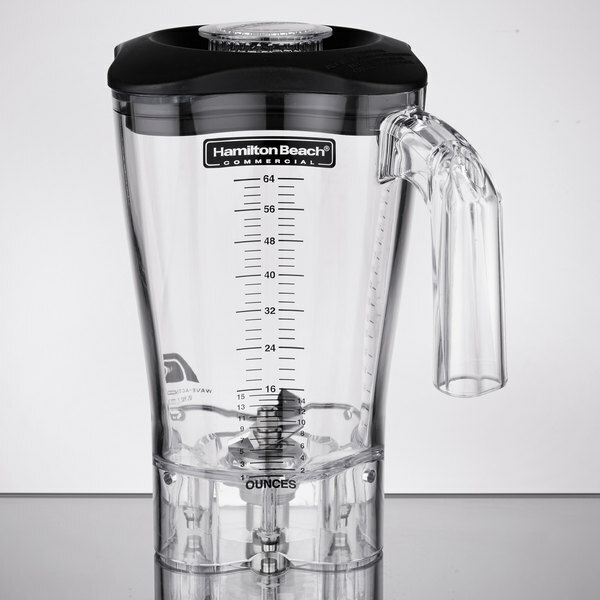 This is a nice sized 64 ounce blender container that works well as a replacement item or for making it faster to blend up multiple smoothies!! Stock up on a few of these containers! !